I remember when I was child, feeling uncertainty about beginning martial arts. I wondered if I had what it took to succeed and I wasn’t the most athletic or confident child - quite the opposite. Little did I know that beginning my martial arts journey would be one of the most profound experiences of my life! 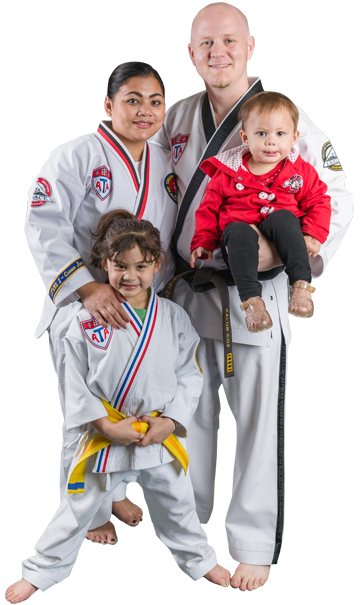 When I opened my school in 2012, I made a commitment to serving and empowering the community of Magnolia & Conroe by teaching children and adults the confidence, leadership, and fitness skills that can only be achieved through martial arts. 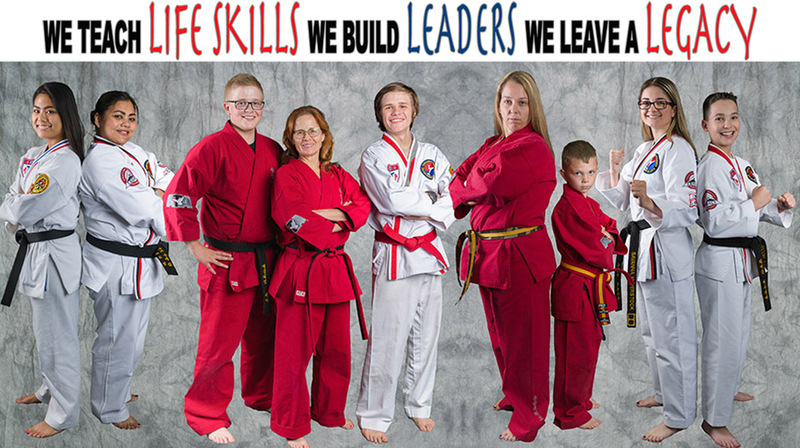 We are committed to helping people and families lay a strong foundation, that allows them to grow stronger; mentally, physically and emotionally, by way of martial arts and life skill training. You may have experienced boredom with your usual fitness routine or reached a plateau in your performance or physical fitness results. ATA Martial Arts for adults is the perfect alternative to a boring gym routine, as it helps you develop into your maximum potential both physically and mentally by providing real life self-defense strategies in a a fun, focused environment. • Mentor - You should always be looking to help & guide people with the knowledge that you have received in your training. Instructors train their students to the best of their ability. Some students come fit, while others have come 100 pounds overweight. Most come with limited flexibility. Adults start at any age, as we have had some adults who started as late as age 65, and have still earned their black belts. As a student, you are looked upon as an individual, never compared to anyone else. Your instructors will be with you every step of the way. All that is expected is a willingness to try. Songham Taekwondo is the style of martial arts practiced by ATA Martial Arts students. 6 years ago I was a very shy and quiet person. I disliked meeting new people or being in any kind of spotlight. My parents put me in TaeKwonDo hoping I would become a more outgoing person. Apart from my extreme shyness, I also had ADD. Often times I would find myself completely lost and embarrassed within a class. Thankfully there were some amazing people who approached me and helped/encouraged me to stay on course. TaeKwonDo has changed my life. Through ATA life lessons and leadership skills, I was taught how to overcome most of my shyness and control my attention. Now I am able to lead classes with a clear direction on what needs to be done. I now help people who struggle through the same problems I was going through. Cox ATA has made me into the leader I am today and for that I am forever grateful. Cox ATA is a great place not only to learn martial arts but also to learn how to be an individual who shows wisdom, discipline and patience. I was a student at Cox ATA for about 6 months until I regrettably had to move. But during that time I noticed a change in my attitude and skill level. There were many times I got to have great conversations with my teachers even the owner. I recommend Cox ATA to anyone considering martial arts. The owner was willing to work with me to make sure my experience was excellent! We are truly blessed to train at Cox ATA! Whitten began training there after we had a difficult loss in our family. He loves working with all the instructors and we are so very thankful for the instruction he receives from Mr. Cox. He has learned what it means to set goals and work to achieve them and was the first to graduate the Tiger program. We are truly grateful to be apart of the Cox ATA family. He has developed confidence and made so many friends along the way! My son has had such a positive experience taking classes at this school! He also had his birthday party here recently and it was executed better than any party-geared venue I’ve experienced, which is a testament to the dedication the owner puts toward every aspect of his school. Consider enrolling your child here! The kids love the fun physical activity and the parents love the life skills lessons taught. Thanks ATA! Mr. Cox is one of the best people I've ever had the pleasure of knowing. The way he mixes his passion for teaching, his good-natured attitude, and his love for people everywhere is something that can't be overlooked. He's as fun as it gets, but at the same time, he's extremely disciplined. He really passes that on to all of his students; they have a blast, yet they are the most well behaved bunch of kids I've ever had the pleasure to train with and help instruct. Not only one of the best mentors in my life but a true master at his craft. He loves what he does and it's apparent any time he is on the mat. So thankful I don't work in the same industry. 5 out of 5 would fight him again.